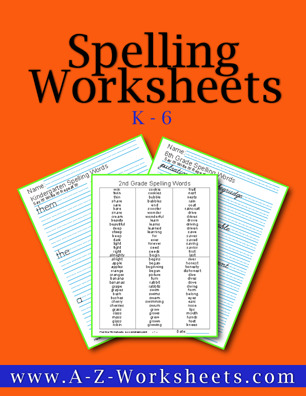 Our printable Spelling worksheets offer practice words for Spelling practice grade levels K-6. Each word is offered with space to copy the Spelling words three times each. Print and reprint as often as your students needs! These Spelling worksheets offer practice words for Spelling practice with different levels of increasing difficulty grades K-6. Each word is offered with space to copy the Spelling words three times each. Print and reprint as often as your students need practice! Contains 672 pages of Spelling Worksheets!